Novissima Ichnographica Delineatio munitissimae Urbis et celeberrimi Emporii Ostendae, in Comitatu Flandriae Austriacae sitae, cur et coela Matthaei Seutteri. 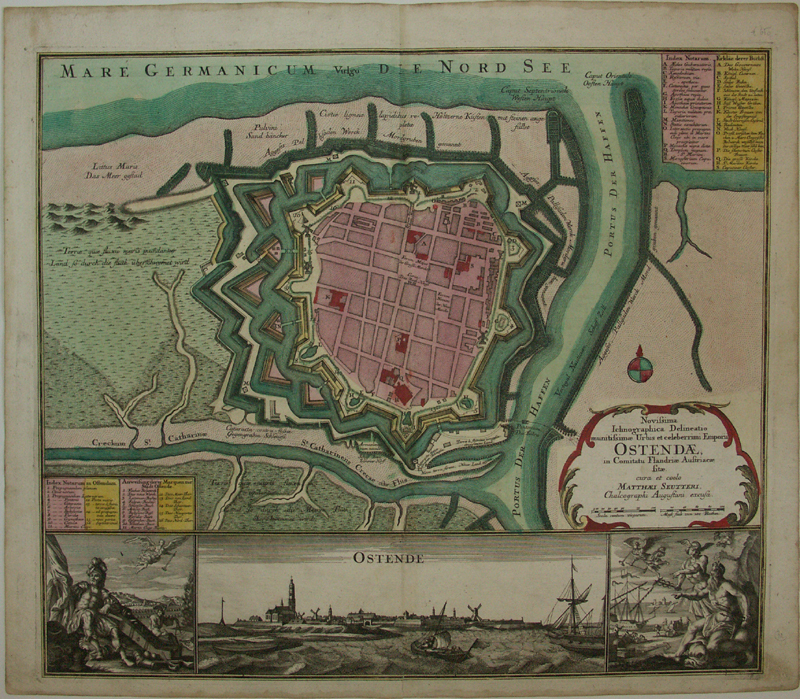 A large scale plan of the city surrounded by walls and moats. Ostend is in the middle of the coast of Belgium on the North Sea. Thirty-four sites and facilities are numbered or lettered and identified both in German and in Latin. 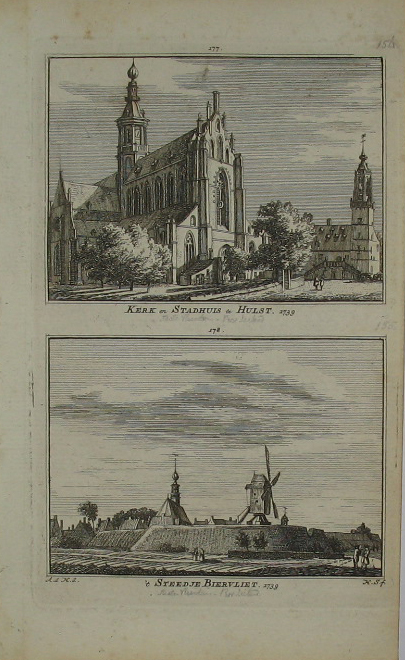 There are three black and white engravings below the map; the larger is a view of Oostende from the sea; the two smaller are allegorical scenes: the war god Mars at the left and Neptune and Mercury at the right. Print on thick paper and nice an crisp original colouring. Verso blank.